Cabrières d'Avignon, 5 minutes away from Gordes ! 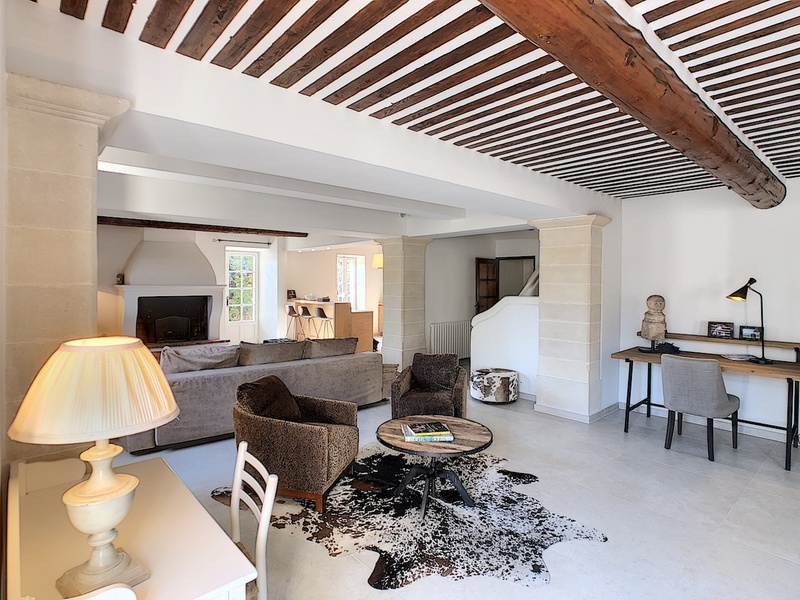 Quietness and view on the LUBERON for this restored Mas of more than 400m ² with quality materials. The Mas, dating from the 18th century, has developed more than 400 m² of living space and has been refurbished in a contemporary style. The living space consists of 2 large lounges of 50m² each, a kitchen and a dining room for a total area of more than 150 m². The night area of the main part consists of 5 beautiful bedrooms and 3 bathrooms. A 6th outside and independent bedroom increases the capacity as well as the guest house of 60m² composed of a kitchen – dining-room, a spacious bedroom with dressing room and bathroom. The heated swimming pool of beautifully sized is extended by a large pool-house as a summer living room for moments of relaxation in the very quietness of the LUBERON. A workshop, a wine cellar and a boiler room complete the ensemble.The 5 418 m² park planted with Mediterranean species is cheaply watered thanks to the canal de Provence water. Access by motorway 20 min, TGV 40 min and Marseille Provence international airport 50 min. Land 5 418 m², House 400 m², 11 rooms, 7 bedrooms, 5 bathrooms, outbuildings 16 m² and swimming pool.